Does The Cinema Industry Have A Future? Vue Bans Laptops, Are Mobile Phones Next? A friend of mine recently went to the cinema to watch a movie and from the sounds of it, it was not an experience that went very well – just take a look at what The Hodge ended going through by having a quick read of his recent Vue Cinemas Have Banned Laptops blog post. However, to very quickly summarise, Dom wanted to go to the cinema after work and therefore happened to have a laptop in his backpack, which he had to hand over before being able to go into the screen to watch the movie as he could record the screening on it! How dare he want to go to the cinema after work before first taking the trip to take his laptop home! Anyway, here’s what I think…I really can’t believe that a business that is already struggling to survive in the face of advancing technology would want to further alienate remaining customers by treating them no better than a suspected or potential “criminal”. 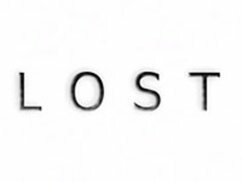 So it’s been a few weeks now since the Lost series finale in which we got all the answers (or not), how was that ending for you? Do you still want more Lost Season 6 answers? Put it this way, had I been satisfied with it, I probably wouldn’t have felt the need to put my thoughts down here, so I guess at least it ended in being a talking point like it has been all the way through. I think watching Lost has been like following people dropped in a fast flowing river, you get carried away in the moment, passing by lots of interesting stuff, but never get to stop and actually investigate the detail of what is actually there. Has the joke has been on us all along? Especially after the creators/writers would smile away in interviews when the question of writing towards the known ending was asked. Perhaps they got bored with their own ideas that they’d throw into the series, so it was less work to not bother explaining stuff? Perhaps they had to just keep throwing random unrelated new stuff into the mix as a means of spinning out a 10 episode mini-series into 6 years or working in Hawaii – a nice little earner if you can get it eh? Quite honestly, I’ve liked the concept of Stargate ever since I first saw the original movie. Even if I didn’t think it was the greatest of movies itself, but certainly, the idea of it appealed to me. I remember watching the first episode of Stargate SG-1 and thinking back then, now this is the kind of extension to the original story that I wanted. Lucky for me and other Stargate fans, most of the time it really did deliver on that initial promise and we got 10 years of enjoyment from following SG-1’s adventures! With the spin-off of Stargate Atlantis, we got another show filled with the same kind of themes as SG-1, more fun with ancient (but highly advanced technology), some great characters including Dr Rodney McKay himself! Although that said, it also had its faults, enemies that had a lot less character than the likes of the various very individual and colourful Goa’uld System Lords. There seemed to be lots of characters moving in and out of the show for various reasons, but that said I still feel that this show got cut short with it not being renewed after its 5th season. Both SG-1 and Atlantis were great action-based fun shows that didn’t take themselves too seriously, I was always impressed and pleased with the humour the shows had, they were fairly easy going to watch, but usually good fun too. Now we’ve got another Stargate spin-off in the form of Stargate Universe, but this one’s a lot more grown-up in look and feel compared to its predecessors. 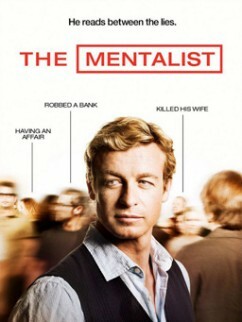 In just the first few episodes you can see that this is a different show…very different from what has gone before!